Does a rental applicant have a right to cancel and get a deposit refund within 72 hours or any other time period? No. Only if the application says he does. If it is management’s intention, the application should state that the deposit will not be refunded if the applicant is approved. Landlord has a duty to expeditiously process the application. If not, the applicant may have a right to a refund. Does a non-military resident have the right to break his lease is he has a job transfer or change? No. Only if the lease grants the right. Does a persons entering the military from civilian status or a military person who is transferred have the right to terminate a lease? Yes. They have rights under the Federal Soldiers and Sailors Civil Relief Act and more generous. Generally, a person who goes on active duty or who is released from active duty, who is on active duty and is transferred more than 35 miles, or gets orders to move into military quarters may terminate upon 30 days’ written notice and written proof. If one tenant qualifies to rent an apartment alone and has a proposed “unqualified” roommate, and you are willing to let the unqualified person occupy the apartment, should he be included as a tenant or just an authorized occupant? The “unqualified” person should sign the lease as a tenant. Since all tenants on a well written lease are responsible individually for the full amount due, there would be no reduction in the liability of the qualified tenant, and there is the additional possibility of collecting any unpaid sums from the “unqualified” tenant. All persons over 17 who occupy an apartment should be obligated to comply with all provisions of the lease including payment of rent. This is accomplished by naming them as tenants and having them sign the lease. If a person is guarantying payment of a lease, but not occupying the premises, should he sign the lease as a “co-signor”? No. Only persons who will occupy the premises should sign the lease. Someone guarantying payment should sign a separate lease guaranty form. It should be notarized (acknowledged in the presence of a notary public) if not signed in the presence of a management representative. The guarantor’s identification should be verified by management if signed in the presence of management. Is there any requirement to put the duration of a lease (for example 10 months and 11 days) in a lease? No. It is best just to put the beginning date and ending date to avoid calculation errors. Is there any requirement to put the total rent to be collected for the entire lease term in the lease? No. Only the periodic (normally monthly) payment amount is necessary. Putting the total often leads to calculation errors. Can the beginning date of a lease be different from the day it is signed? Yes. For example, a lease could be signed on June 15 and have a beginning date of July 1. It is best to have the lease signed by all parties as soon as possible after approval. Until the lease is signed, the tenant only has his deposit at risk. Can I refuse to rent to adults between, say, 18 and 25-years old without children because I think they are more trouble than older adults? Yes, unless your city or country has an ordinance prohibiting age discrimination. 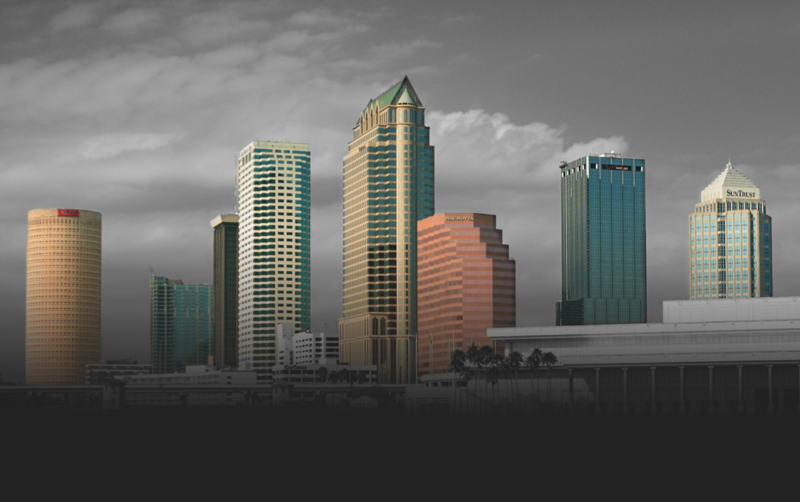 Some local jurisdictions (such as Tampa and Hillsborough County) do prohibit age discrimination. Federal law prohibits discriminating against families with children under 18 but does not protect other age groups. You cannot refuse to rent to young adults with children because of age (of the adults or children) if they otherwise qualify. If I rent one bedroom apartments to two adults, can I refuse to rent to a qualified man and a 17-year old girl over whom he has custody? No. You must rent if he qualifies. This qualifies as familial status under the federal Civil Rights Act and you cannot impose your moral judgment. Can I give rental discount to old people? No. This probably would be considered by fair housing agencies to be discrimination against families with children. It is also age discrimination which is outlawed in some communities. If a tenant is evicted, can he be held liable for rent for remainder of lease terms? Yes, or until apartment is re-rented, which ever is sooner. See F.S. 83.595. Can late charges be included in 3-day notice amount due? Only if lease says that late charges are “additional rent”. The same applies to other charges such as for returned checks. If a judge deems the charges unreasonable even if defined as additional rent, the judge could refuse to enforce. Can a tenant’s improperly parked or unlicensed vehicle be towed? Only if the lease gives management this right. Otherwise the only remedy is a 7-day curative notice. Can commissions be paid to leasing agents or referral fees be paid to others? Commissions can only be paid to licensed real estate agents and up to a $50.00 referral fee can be paid by an apartment community to a resident for the referral of a new resident. See F.S. 475.011(13). When must sales tax be collected? Unless a lease is longer than 6 months for continuous residence or the person has been a continuous resident for longer then 6 months, the landlord must collect sales tax on rental payments and then remit the tax to the Florida Department of Revenue. Most “corporate” leases probably are not sales tax exempt regardless of term because they are generally not entered into by a person for his or her continuous residence. Must all leases be in writing? No. Probably all should be, but only those longer then one-year must be. Although it has not been a big litigation issue, Florida Statute 689.01 requires that leases longer than one year be signed by the grantor (landlord) in the presence of two subscribing witnesses.